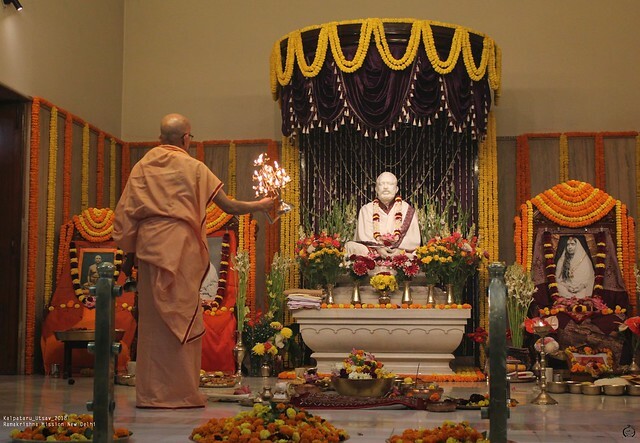 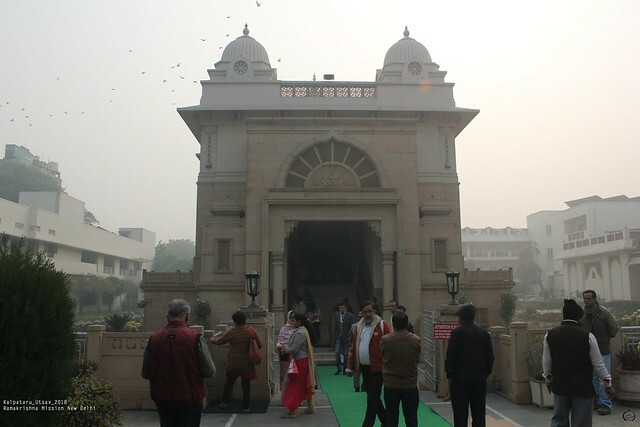 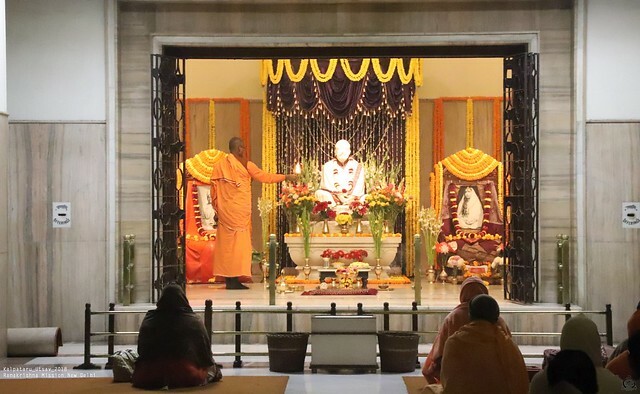 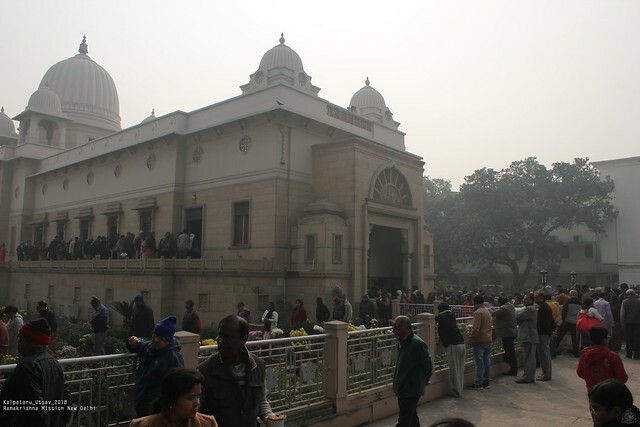 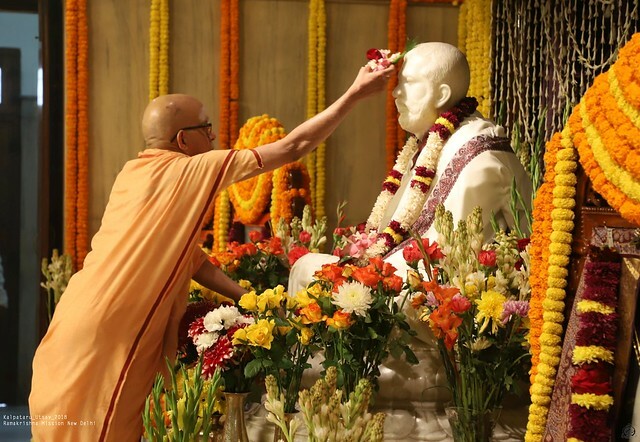 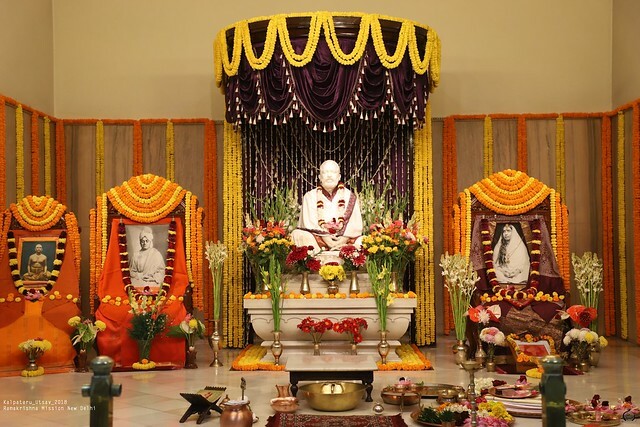 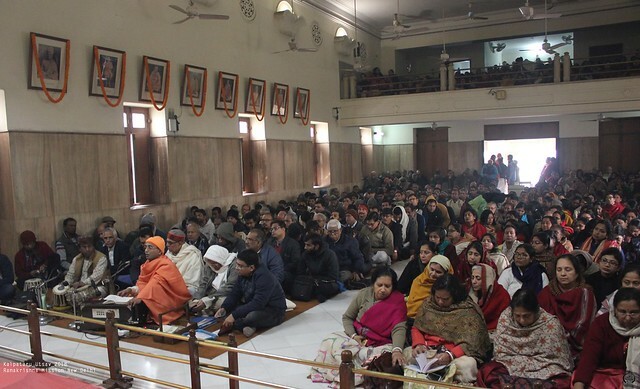 The Ramakrishna Mission, New Delhi, celebrated the Kalpataru Day on Monday, the 1st January 2018 in a solemn and befitting manner. 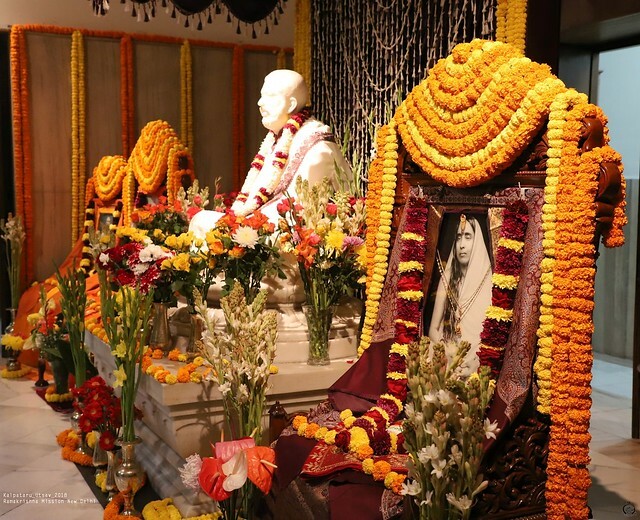 On this day, special puja to Bhagawan Sri Ramakrishna was performed in the Temple from 7.30 a.m. till Noon. 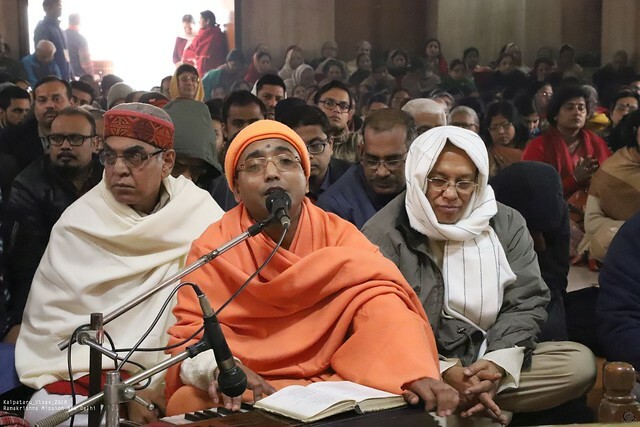 Simultaneously, Chandipath was done by Swami Dhruvarupananda (Manabendra Maharaj) at the Shayan Ghar of Sri Sri Thakur and Ma in the Temple. 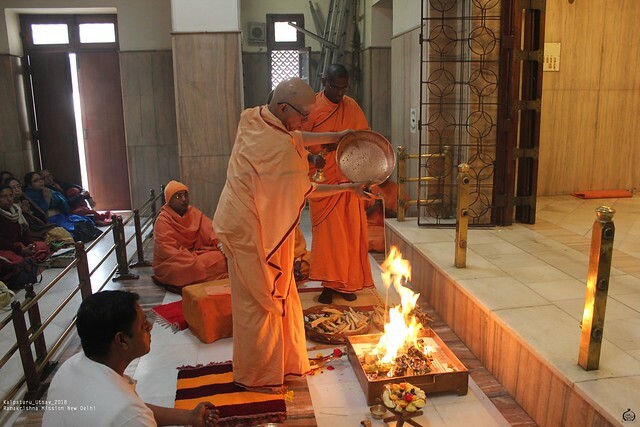 As it was considered to be a very special day, Revered Secretary Maharaj himself did the puja to Bhagawan Sri Ramakrishna as well as havan. 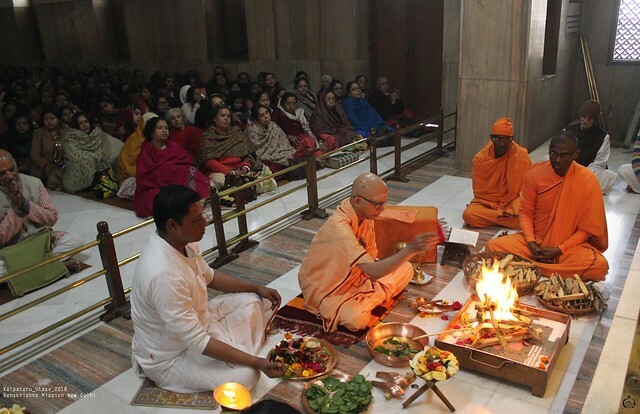 At the end of the Puja, havan and bhog, he also did Aratrikram to Sri Sri Thakur. 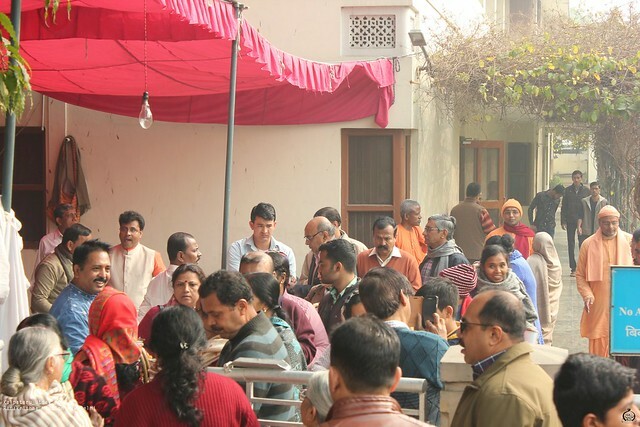 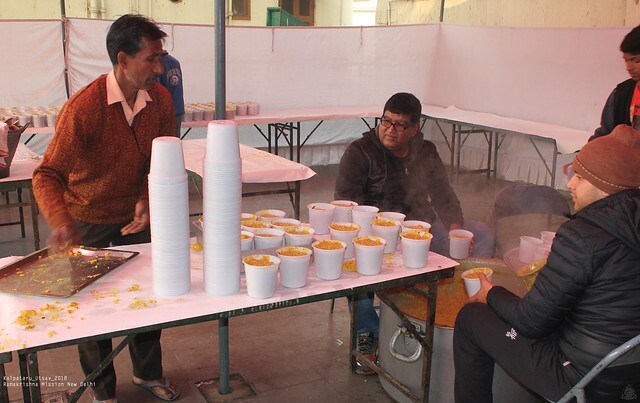 It was extremely cold in the morning when the Puja began, but as the day was progressing, it became warm and the puja ceremony went off very well. 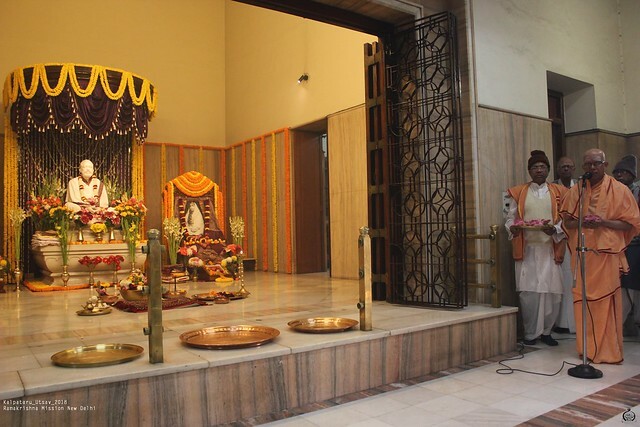 From the time the puja started, devotional songs were rendered. 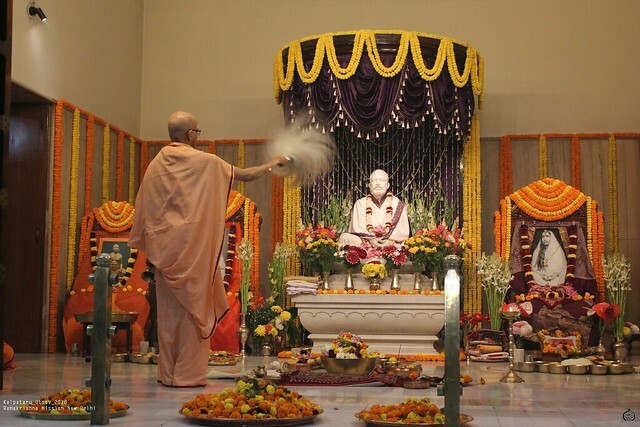 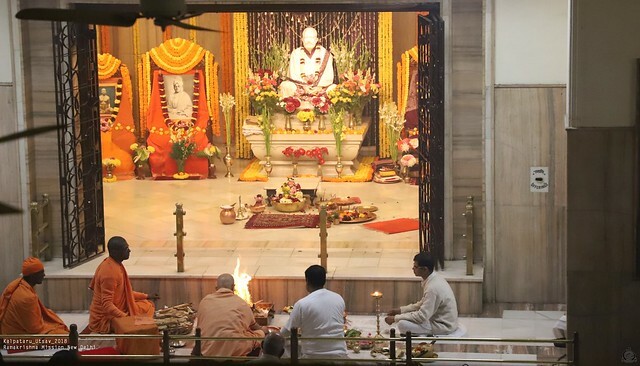 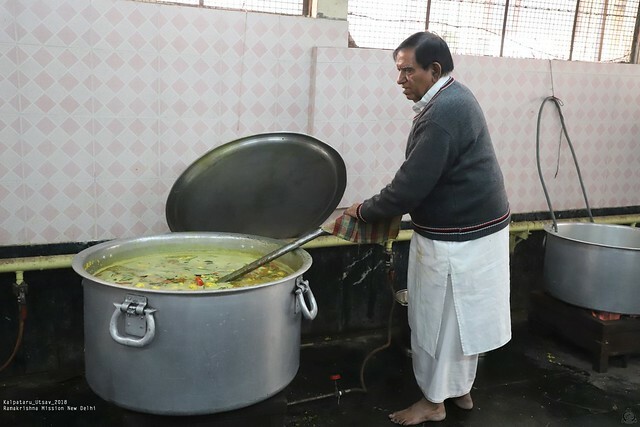 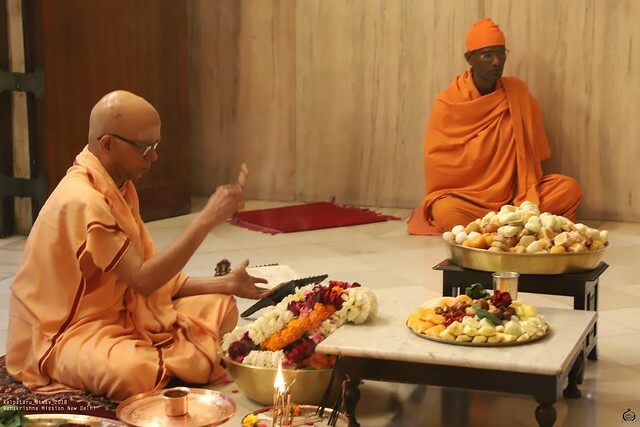 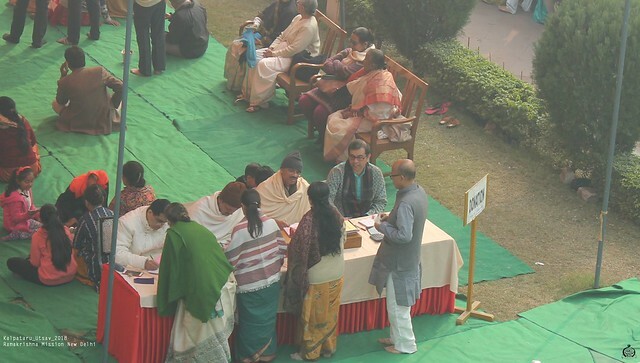 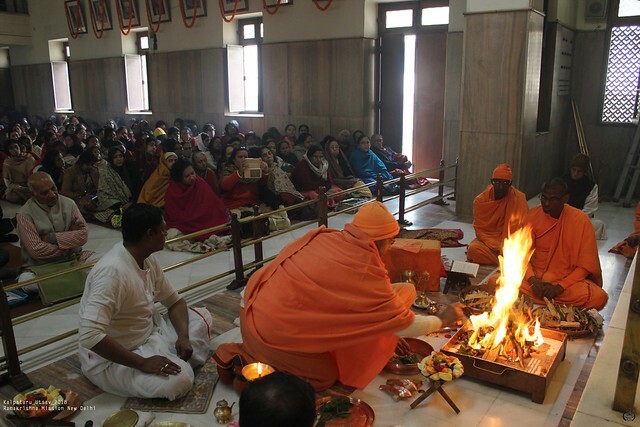 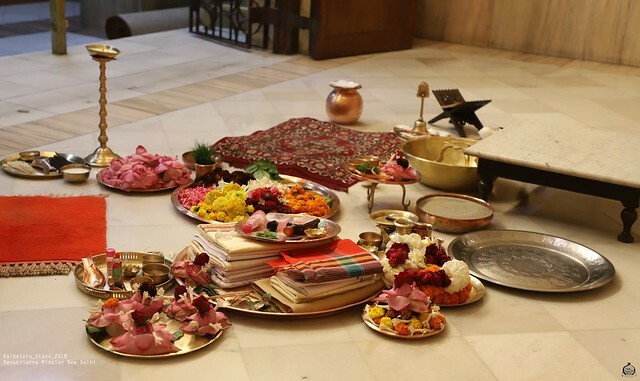 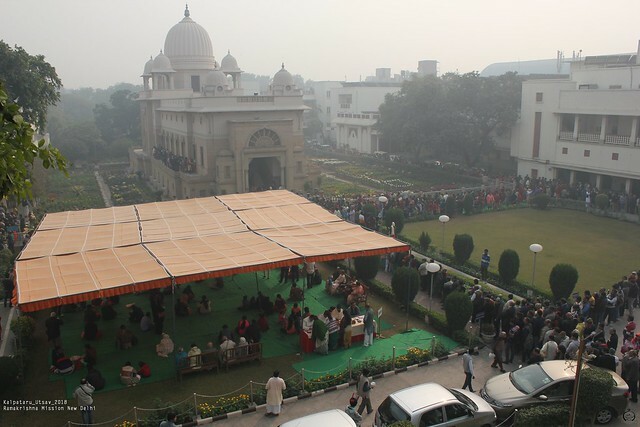 The puja started at 7.50 a.m. and was over by 9.52 a.m. Havan started at 9.55 a.m. and it was over by 10.40 a.m. Then Pushpanjali was conducted for devotees by Revered Secretary Maharaj. 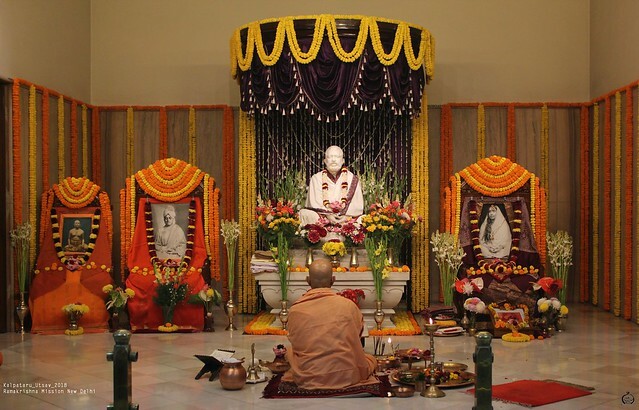 Thereafter he gave a short speech on the significance of Kalpataru Day with vivid details of what happened at Cossipore Garden House on 1st January 1886 and how Sri Sri Thakur blessed all those assembled there by telling, “May you all be spiritually illumined.” Afterwards he proceeded again to garbha mandir and offered bhog to Sri Sri Thakur between 11.19 a.m. and 11.40 a.m. 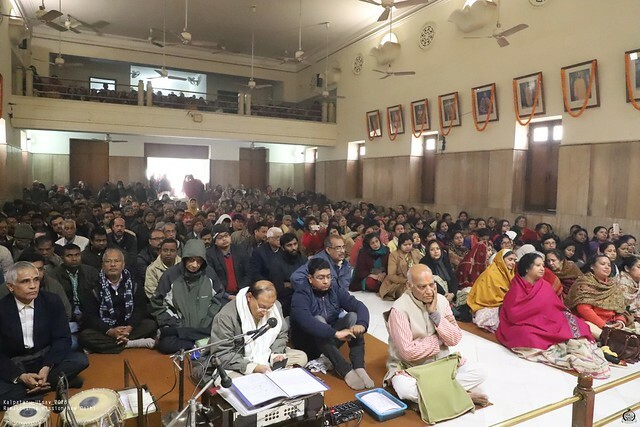 When the sanctum sanctorum was closed for offering bhog, devotional songs were rendered again by Shri Chandra Nath Mukherjee accompanied by Shri Siddhartha Bhattacharya on tabla and Shri Ramesh Dwivedi on manjira. 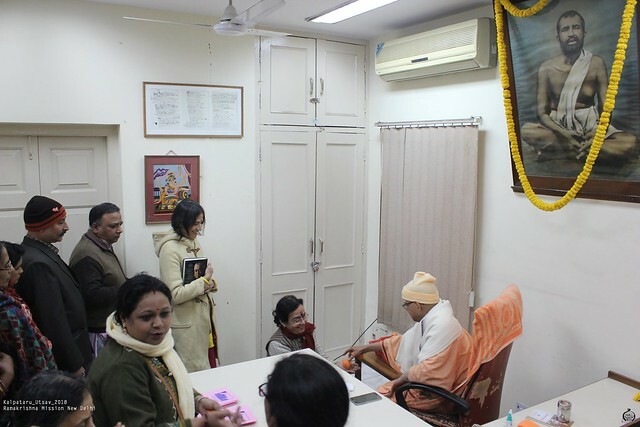 After the bhog offering, Revered Secretary Maharaj did Arati to Sri Sri Thakur, Ma and Swamiji. 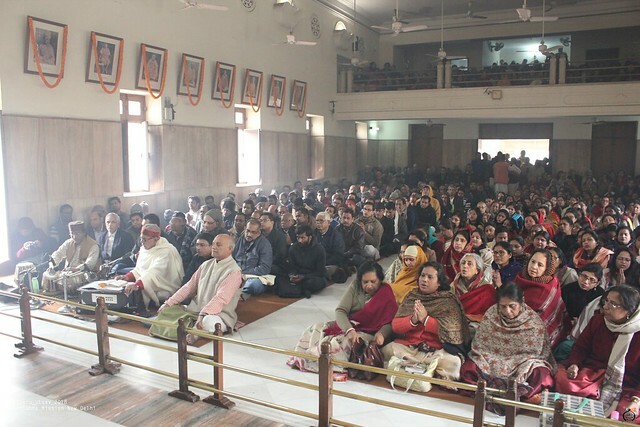 While Arati songs were sung in chorus led by Manabendra Maharaj. 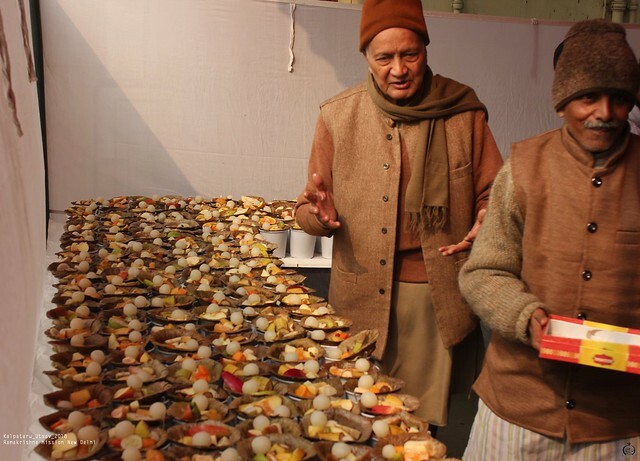 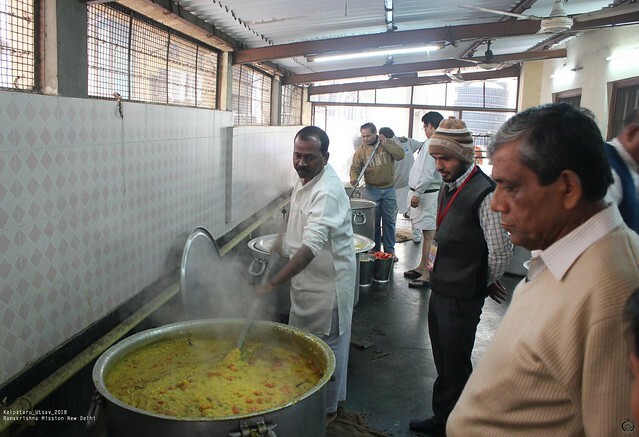 After Arati all the devotees offered pranams to Sri Sri Thakur, Ma and Swamiji, and partook of the Prasad.